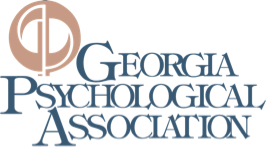 If you have been or are currently struggling with anxiety, depression, or body image issues, it might be time to turn to a Sandy Springs therapist. Each of these issues is treatable, and the sooner you decide to get help, the sooner you will be on your way back to a happy and fulfilling life. Anxiety, depression, and negative body image are all problems that negatively impact your life. Dealing with them alone can leave you feeling isolated and make your symptoms even worse. Learn more about what these issues entail and how Positive Living Psychotherapy can help. Anxiety is your body’s natural stress detector. It alerts you to possible dangerous circumstances and helps you to focus on staying safe. But experiencing this emotion consistently along with excessive worrying could be indicators of an underlying anxiety disorder. It can also cause an inability to concentrate, irritability, insomnia, and fear of impending doom. Many of these symptoms can influence and impact your social and family life as well as your school and work performance. Finding the right methods and coping mechanisms for when you are dealing with anxiety is of the utmost importance. Losing interest in what matters most to you is difficult. Whether it’s family, friends, your career, or your passion, depression can make you feel as if nothing matters and the world has gone dark. It is important to note that depression is more than just an emotion. It is a serious mental disorder that can impact your thoughts, feelings, and personal decisions. There are a variety of different behaviors and symptoms that can be a manifestation of depression, which is why taking an individualized approach to each case is imperative. At Positive Living Psychotherapy, our Dr. Keown implements a holistic approach to overcoming depression that involves traditional psychotherapy combined with positive thinking and optimism. When you picture yourself in your mind, how do you look? How do you feel about your shape, weight, and height? Starting at a young age, people begin to develop a mental image of how they see themselves. This picture can be either positive or negative. When this perception of your body is negative or warped, it impacts your self-esteem, affecting how you respond to and interact with others in day-to-day life. Let Positive Living Psychotherapy help you to overcome your negative body image through self-esteem boosting and personal development tools such as a positive mindset to help you to appreciate your body. It’s time to feel good about the skin you are in! Dr. Keown has worked in the field of psychology for over 20 years and is ready to help you through the process of finding relief from anxiety, depression, and negative body image. It’s her goal to help you live your fullest life possible. Reach out to Positive Living Psychotherapy today for your free phone consultation at (770) 552-0333.